Terry (designer and leather-crafts-woman-extrordinaire behind Buffalo Girl) is an adrenaline junky. She’s rides motocross and surfs, in fact she was the one who took me on my very first surfing lesson! 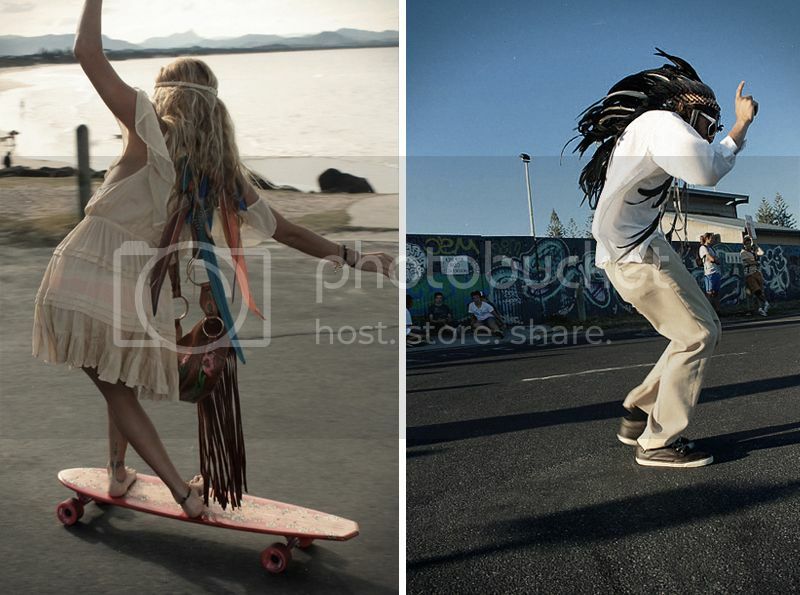 So it was no surprise to come across these pics on her blog – it’s a typical sunset skate session up at main beach, with a Buffalo Girl twist. what a rad concept for a photoshoot! Gorgeous photos, what a stunning lady!